Well, it’s been going for a couple of months, but it’s new to me. armsand themedicalman is a blog by Jessica Meyer (whose Men of War was welcomed enthusiastically in this blog a few years ago). 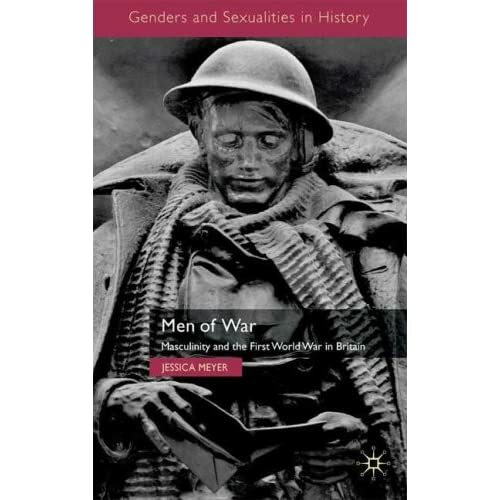 The blog will be a by-product of Jessica’s current research, into the experiences and identities of men serving in medical support and paramedic roles with the British armed forces during the First World War. Oh, and the award for most fatuous comment must go to General Lord Dannatt, quoted in The Times as saying, ‘This needs to be the start of an education programme on the history of the events that led to the outbreak of the war, to make sure it never happens again.’ Given the number of conflicts to engulf the world since 1918, I suspect that ship has sailed. A recent post is especially interesting, since it points with a link to Leeds University’s ‘Legacies of War’ seminar series. The seminars have been recorded, and are available on YouTube. This entry was written by George Simmers and posted on January 11, 2013 at 3:39 pm and filed under academic, blogging. Bookmark the permalink. Follow any comments here with the RSS feed for this post. Post a comment or leave a trackback: Trackback URL. Many thanks for the mention, George. What are you up to these days? Coincidentally, I was just discussing your paper on facetiousness with someone today. Small world!